Yo, folks! Living Arts will be hosting not one, but two (2) P-A-R-T-I-E-S this month. Make sure you come for the right one. This is a private party for Bantus family only. *No pets allowed (except for our resident cats). This is an open party for everyone who wants to eat & dance. 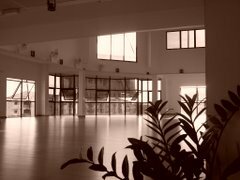 Yes, we are moving to Puchong in January 2009, so come reminisce the precious moments we've had in this beautiful space.